This itinerary is designed to give travelers a complete vision of two nature wonders of Brazil, one less known with the canyons, waterfalls, caves of the Chapada Diamantina combined with the famous Iguassu Falls, one of the Seven Wonders of the World! Activities include trekking, visiting waterfalls and caves, boat rides and exploring the very rich culture of the regions. Welcome to Chapada Diamantina! After arrival in Lençóis, our local guide will pick you up at the airport and take you out for a ride to the top of the Morro do Pai Inácio, a 1.120m hill located between the Chapada Diamantina National Park and the Marimbus-Iraquara Protection Area. Enjoy the magnificent 360º view during sunset. Start with a car ride to the Pratinha Grotto, an enormous natural crystal-clear water pool where you can have a nice time snorkeling and enjoying the Tyrolean of the nearby Gruta Azul (Blue Grotto). After lunch, transfer for about 40 minutes to the Lapa Doce, a huge and not totally explored grotto. The ride is a 500m trail to get to the cavern entrance and then other 850m inside of the cave. The full ride takes about 1h40m. Once back to the sunlight, a car transfer will take you back to the hotel. 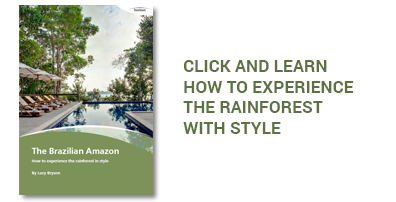 Visit the traditional quilombola community of Remanso. Quilombola communities remain today as a postcard of colonial Brazil, when slaves used to escape from sugar cane plantations and hide in the remote inland areas of the provinces. Get on a boat ride through the Santo Antônio river. After a 2,5km walk, you will be able to freshen up in the calm waters of the Roncador river and enjoy a pleasant outdoor picnic. Back on the road, a Jeep 4x4 will take you to Igatú village. At morning, a car will pick you up at the hotel and start a 2,5h trip towards the Ibicoara city. After walking about 1h, you will reach one of the most amazing waterfalls of the Chapada, the Cachoeira do Buracão (Big Hole Waterfall). You’ll be able to swim and renew your energies, before walking the way back to the vehicle that will bring you back to the hotel. Dinner will be at Galeria Arte & Memoria, a three environment museum, in Igatú. After that, an astronomer might help you locate some star constellations before the end of the night. Start the day driving to the Poço Encantado (The Enchanted Well), a translucent water lake inside a cavern. Thanks to the abundance of a rock called hard limestone, visitors can see the deep bottom through the fantastic blue, mineral clear water. After that, an 1 hour drive will take you to the Poço Azul (Blue Well). There, you will be able to swim in its crystal-clear waters and have a picnic on a pleasant spot. After it all, a 90 km car drive will bring you back to the Canto das Águas Hotel in Lençóis. Be prepared for a day of adventure and long walks. Early in the morning you will start a trek towards the Sossego waterfall. The 7km trail is through beautiful and diversified landscape, and the final part goes through amazing canyon walls. Once at the Sossego, refresh yourself on its powerful fall, before starting the way back. After 4 Km of trekking, stop at the Ribeirão do Meio, a small waterfall famous for its pinky colored rocks, perfect for resting in the different pounds it forms. Another hour trail back to the hotel for leisure and dinner. We suggest you go for one last swim in the revitalizing waters of Chapada, at “Cachoeira do Poço do Diabo” (Devil’s fall). Back on the trail go back to the hotel and refresh before taking your flight back to Salvador to stay the night. Flight from Salvador to Iguassu. 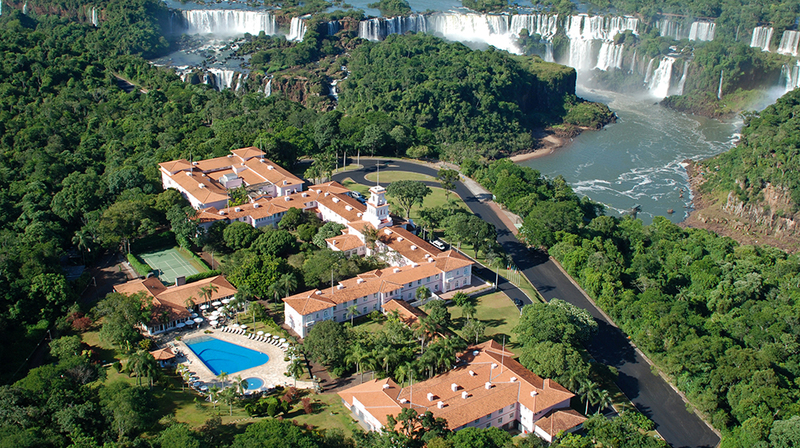 Upon arrival, meet your driver and drive to the Hotel das Cataratas, only 20min away. Put your belongings in the room, quickly refresh yourself and head directly to the Macuco Adventure: Start with a large jeep trail (not private) down a dirt road in the middle of the forest, until you reach the small Macuco falls before arriving on the banks of the Iguaçu River. Here, the best part of the tour begins: a boat tour upriver. In safe open boats with outboard engines, you’ll cruise up through the Iguaçu Canyon. This is a fun and exciting activity for any age, and you do get wet during the tour, but don’t worry, we’ll give you rain cap. Start the day with a walk to see the falls from the Brazilian side, where you have less intimacy with the falls than in Argentina, yet the sweeping panoramic views are the best here. Afterwards, drive to the Argentine side of the Park where most of the falls are located and walk on the different paths and foot bridges for amazing views and picture perfect spots. 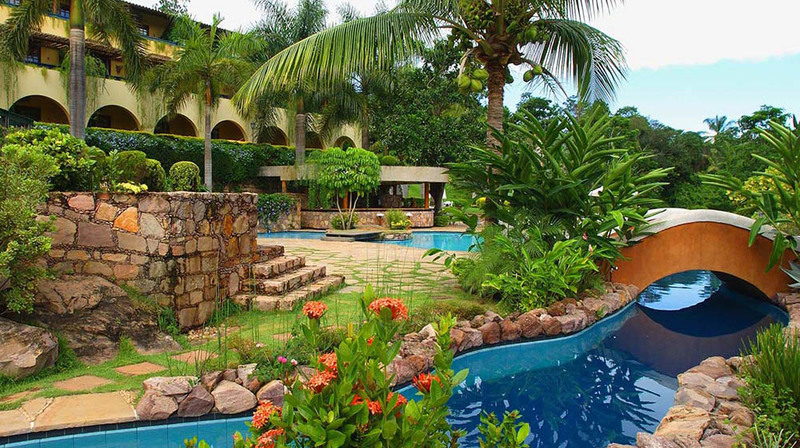 Later, head back to the Brazilian side of the park and spend the rest of the day at leisure in and around Cataratas Hotel. Check-out from Cataratas Hotel in the morning. Later, go to the nearby helipad for a definitive overview of the falls: a 10 minute panoramic flight. After this experience, you’ll have seen the falls from several different perspectives! Transfer to the airport and board on your flight back home.